It is often said that it’s essential to understand vices in order appreciate virtue. Besides learning good habits, it’s imperative for kids to understand objectionable bad habits and why they should refrain themselves from indulging in those habits. 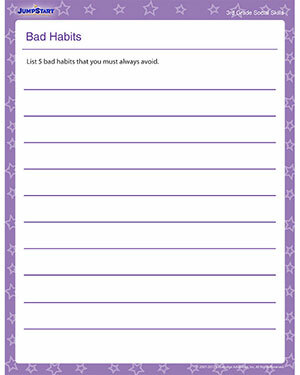 Download the free social skills worksheet for third grade and understand all about good habits and bad habits.